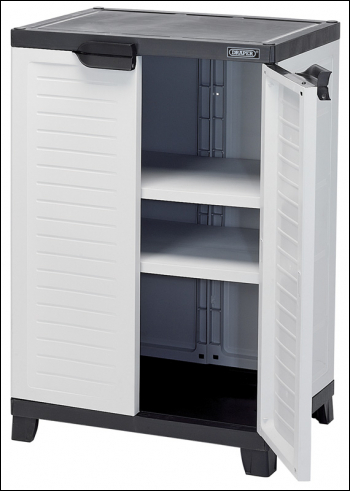 Freestanding cabinet, ideal for use around the home, office, garage or small workshop. Supplied in flat pack form with comprehensive self assembly instructions. Maximum carrying weight 25kg per shelf. Carton packed.